As long as I can remember, blue was my hue. Whatever the ocean can dream up based on time of day, year, weather condition or geography – I warm to what it produces. My latest obsession is a deep dark navy, so blue it is almost black. 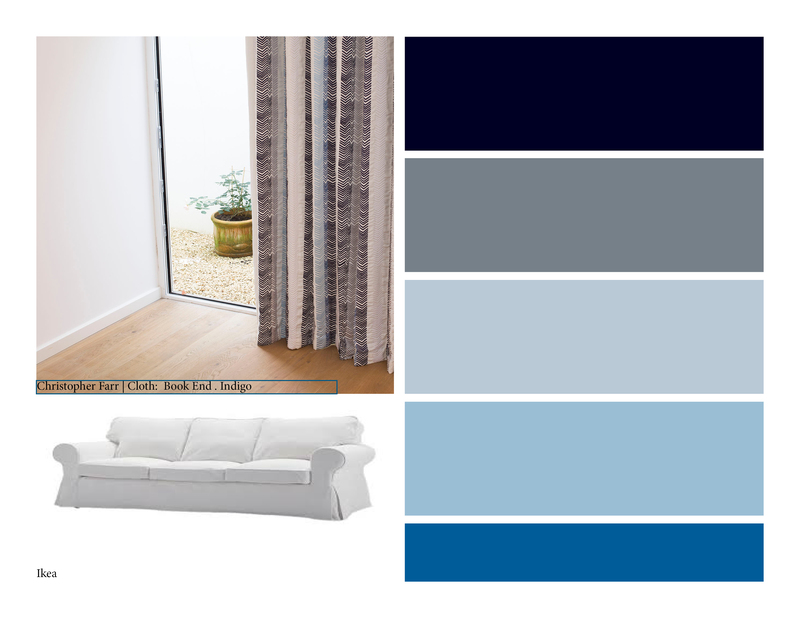 I envision it splashed across a living room wall, softened by a curtain that references the different moods of the sea and me. 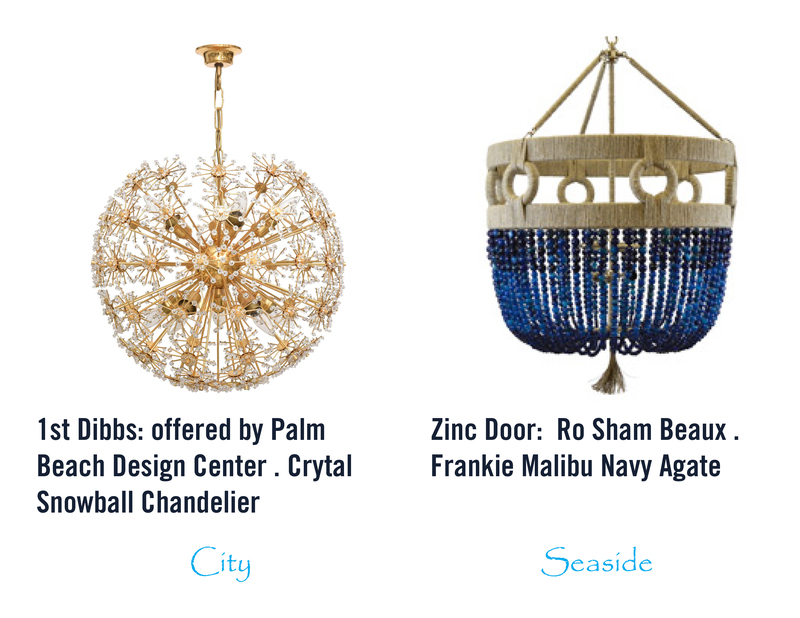 Accented with gold, it brings city sophistication, with chrome its at home near the beach. Just a few subtle changes – a canvas slip cover instead of plush velvet, a light fixture that is silly not serious – allows this color palette to transition from one local to another with ease. While it’s not possible to be all things to all people – no one is enamored with a one-dimensional gal – be prepared to get a little sand in your shoes and clean up for cocktails in the city with this pairing.